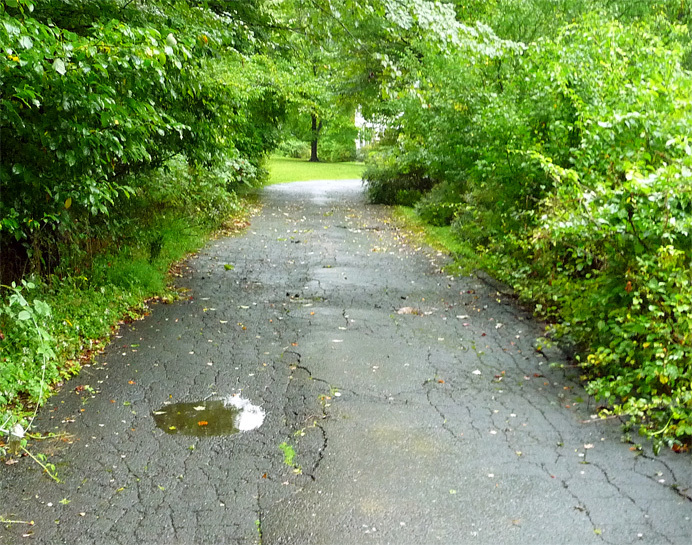 A rainy, blustery day littered my driveway with leaves and put a puddle in the sinkhole that I've been watching grow for the past 16 years. When you walk up and down a piece of pavement every day for a long time, you develop a keen eye for its evolution. You also detect every sin committed by the original contractor. In this case, the scoundrel laid a thin veneer of macadam over a bed of sandy soil instead of founding it on rock. Since he did the deed half-a-dozen years before I bought the house, I don't know his name. That's lucky for him. In case you've ever wondered: yes, macadam was invented by a Scotsman named McAdam. .